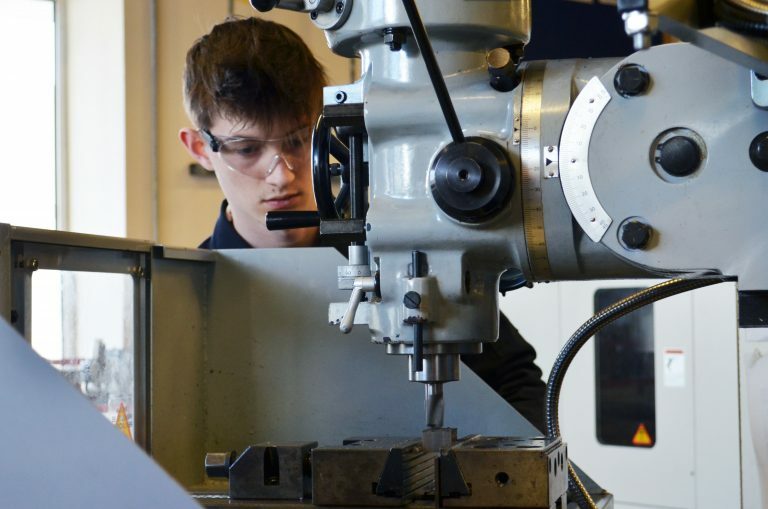 The Apprenticeship standard is to provide the manufacturing and engineering sectors with technicians and engineers who have practical skills, combined with a knowledge for their chosen profession. It is for anyone who wants to work in the Engineering Sector and develop skills associated with a particular role. You should be working in the sector associated with the particular standard and have access to real life engineering tasks, equipment or services. You will need to behave ethically and demonstrate commitment to continual learning and development. With a comprehensive structure, the apprenticeship standard will allow you to develop level 3 skills and competencies needed to be an engineer. This Apprenticeship will provide the underpinning requirement to become an Engineer. The qualification has multiple pathways and can be studied with a Mechanical, Electrical/Electronic or Maintenance focus. The apprentices will be required to attend College one day per week as part of 20% off the job training requirements.